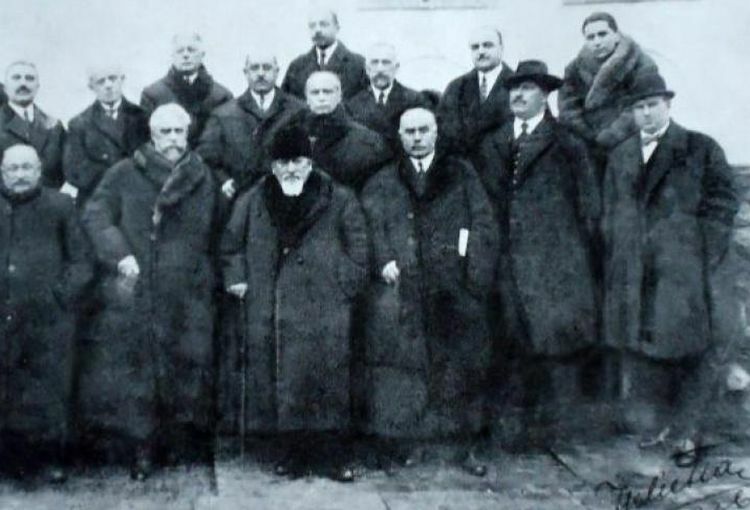 In Romanian history, a less known episode was the evacuation of the Romanian Parliament to Iași, then the exile of the parliamentarians in Russia, in Odessa and Kherson, between 1916-1918. The memoirs of Grigore Procopiu, liberal senator when Romania entered the First World War, provide an interesting testimony of this episode, from the perspective of a Romanian parliamentarian who was a witness to the dramatic situation in Russia, beset by the chaos of the Bolshevik revolution. Romanian historians have not paid special attention to the Parliament of the Old Kingdom of Romania. What was supposed to be a fundamental institution of the Romanian state was, in fact, an institution constantly in the shadow of the Royal House and controlled by charismatic figures in the Government. Prior to 1918, a restrictive censitary suffrage system was applied in Romania, which deprived the overwhelming majority of citizens of the right to vote. At the last elections held in the Old Kingdom before the war, fewer than 200.000 people, only men, were able to elect the members of the two Chambers of Parliament, the Senate and the Assembly of Deputies. The rest of the Romanian citizens, over 7.5 million people, the majority of which were peasants, did not have the right to vote. Born in 1859, in Câmpulung Muscel, Grigore Procopiu graduated from the Faculty of Law in Bucharest. After a short career as a magistrate, he practiced law, becoming the Dean of the Vâlcea Bar. Enrolled in political life, Procopiu became the mayor of Râmnicu Vâlcea and ran for the National Liberal Party, winning several mandates as deputy and senator. “On January 22, 1917, with the second one of these trains, it seems to me that I have started the journey to Russia. (…) There was in my heart, as a free citizen of a democratic state, a natural but unjustified fear. It was not only the thought of leaving, but also an undefined mood, une espece de malaise. Something similar to the morbid sensation that psychiatrists call a phobia, and which I would risk, in turn, in calling it Russophobia. It was not, of course, a phobia, but a revulsion. A sensation similar to that of more sensitive people when touching the cold and slippery skin of an aquatic reptile”. His impressions on this period were gathered in a volume published in a princeps edition immediately after the war and his book was re-edited by the Humanitas Publishing House, under the title Parlamentul în pribegie. 1916–1918. Amintiri, note și impresii [Parliament in exile. 1916-1918. Memories, Notes and Impressions] with an introductory study by Daniel Cain. “Senator Grigore Procopiu describes in his memoirs the less known episode of the Romanian dignitaries’ retreat from Bucharest to Iași, then to Odessa and Kherson. What is written in Queen Marie’s war diary as a nearly mythic adventure, as an incomplete puzzle, it finds in Procopiu’s book the missing parts through the direct testimony of one of the members of the exiled parliament”, writes Daniel Cain, in the introductory study of the volume. What the Romanian parliamentarians experienced in Russia, as described by Procopiu, were as if from an adventure novel. In the wake of the disaster on the Romanian front at the end of 1916, it was decided that some of the Romanian parliamentarians will be evacuated to Russia, first in Odessa, then in Kherson, a town where the Dnieper flows into the Black Sea. Procopius was in this city at the outbreak of the Russian Revolution of February 1917, an event that would lead to the collapse of tsarism. Even if Russia was engulfed by revolutionary chaos, Procopiu leaves his family at Kherson and returns to Iași to participate in the debates of the Parliament and vote for two fundamental reforms, initiated since 1914: electoral reform and agrarian reform. More specifically, Parliament was called to vote on the introduction of the universal vote for men and on the expropriation and redistribution of land. Both reforms directly affected MPs and great landowners, who were elected by a very small number of voters. However, the Parliament approved the two reforms. Although the situation in Russia had worsened, Grigore Procopiu decides to return to Kherson to be with his family and other parliamentary colleagues. After the Bolshevik Revolution of October 1917, relations between Romania and Russia became more and more tense. Russian troops on Romania’s territory were increasingly difficult to control, and more conflicts with Romanian troops, including the Battle of Galați (January 1918), took place. The diplomatic relations between the two countries were broken after Romanian troops entered Bessarabia, a province that had expressed its desire to break from Russia and to unite with Romania. Under these conditions, the Bolsheviks seized the Romanian Treasury, previously sent for safekeeping in Moscow and arrested the Romanian ambassador in Petrograd, Constantin Diamandy. After the Bolsheviks also took power in Ukraine, Romanian MP’s suffered a great deal, were searched, various goods were confiscated and finally they were arrested. They were released due to the efforts of Canadian colonel Joseph Boyle, a close friend of Queen Marie of Romania, who brokered an agreement between the Bolsheviks and the Romanian authorities. Finally, thanks to Boyle’s efforts, Romanian parliamentarians were released and arrived in Iași after other misadventures, including a strong storm that threatened the ship that carried them. In the last years of his life, Grigore Procopiu renounced on his political career, becoming a member of the Legislative Council, a body created by the Constitution of 1923 to harmonize legislation on the territory of Greater Romania. Procopiu died on October 13, 1930, in Bucharest, and was buried in St. John’s cemetery in Râmnicu Vâlcea.